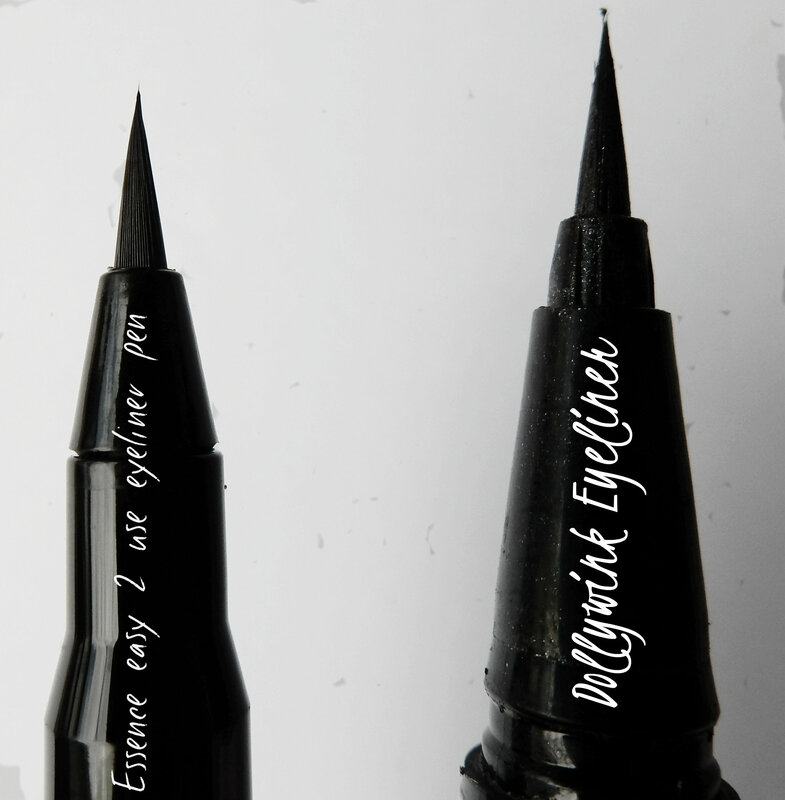 Today I’m going to talk about my most recent discovery, a dupe for my most beloved eyeliner; the Dolly Wink eyeliner. I bought this eyeliner in Australia, but unfortunately, after a year I’m running out of it. The eyeliner lasted me a whole damn year. Which is extremely impressive in my book. I can’t afford to buy a new one (it was about 25 AUD!) and it’s not even available in Europe, and when it is available, it’s always sold out. 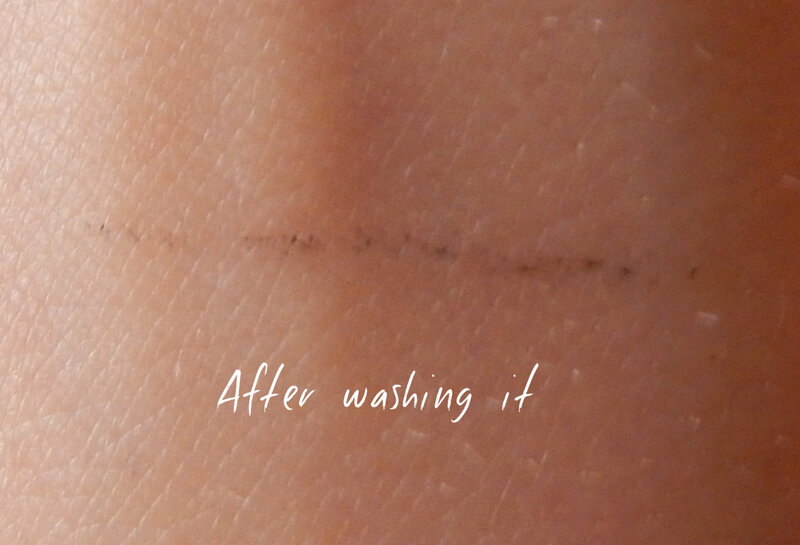 This eyeliner might be the love of my life, (it’s so easy to use! it’s so pretty!) so time to look for a dupe, and I believe I found it! I’m going to compare my Dolly Wink eyeliner to the essence easy 2 use eyeliner pen. The Dolly Wink one is, like I previously mentioned, about 25 AUD and the Essence eyeliner only set me back about 3,50 EUR. The outside doesn’t look the same at all, unfortunately, but hey, it’s what’s on the inside that counts, right? The brushes are both made with hairlike fibers. As you can tell, the Dolly Wink brush is bigger. The Essence hairs look more plastic than the Dolly Wink one as well. 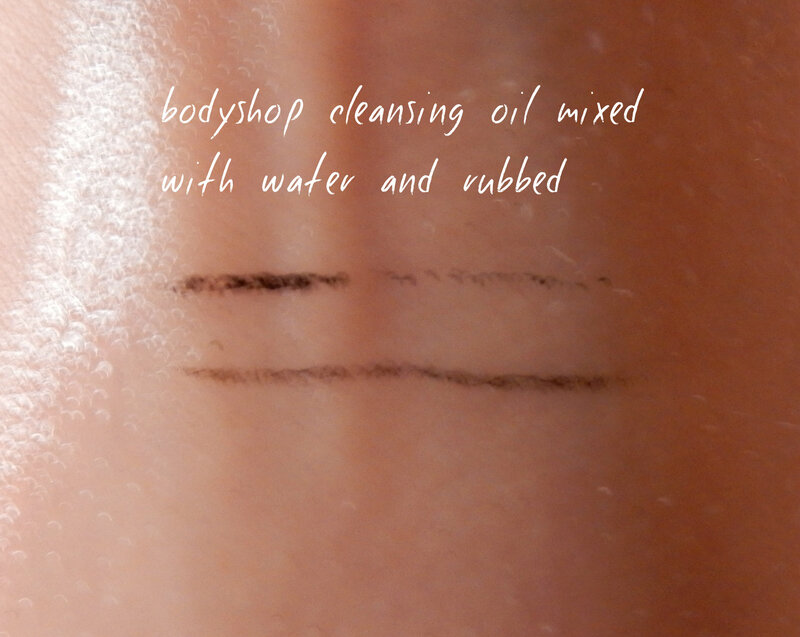 The pigmentation is slightly different, the Dolly Wink one is a lot more black, and the Essence one leans more towards a black/brown combination. The Dolly Wink one is easier in use, and has got softer and more manageable fibers. The Essence one is a little bit more tough, but the more you use it, the more soft it becomes, I imagine. I hope. Now, time to see which one lasts best! Believe it or not, but the one that lasted the best, was the Essence one! I was quite shocked myself, actually, because in my eyes, the Dolly Wink one is my Holy Grail product! 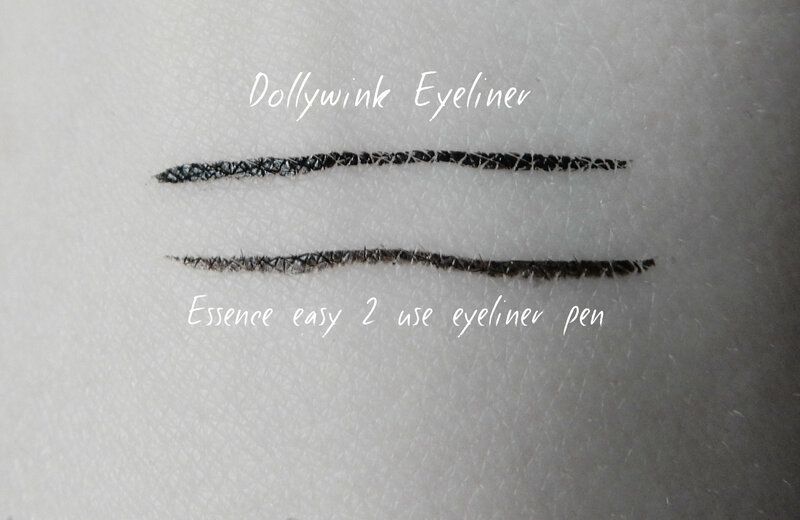 Verdict: personally, I still find the Dolly Wink one easier in use, but the Essence Easy 2 Use Eyeliner is a product that comes really close to it! If you are looking for a long lasting eyeliner pen, check it out, it’s definitely worth a shot. If you CAN and WANT to afford 25 AUD on an eyeliner that will last you a whole year (with almost daily use!) I’d say; go for the Dolly Wink one.